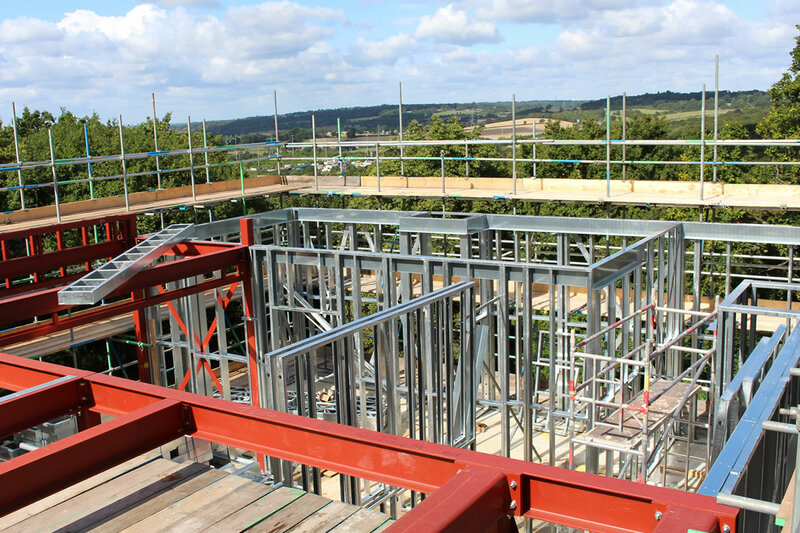 This new build private residence is a single executive home in north London NW7 for our trusted high end residential client Relic Pride. 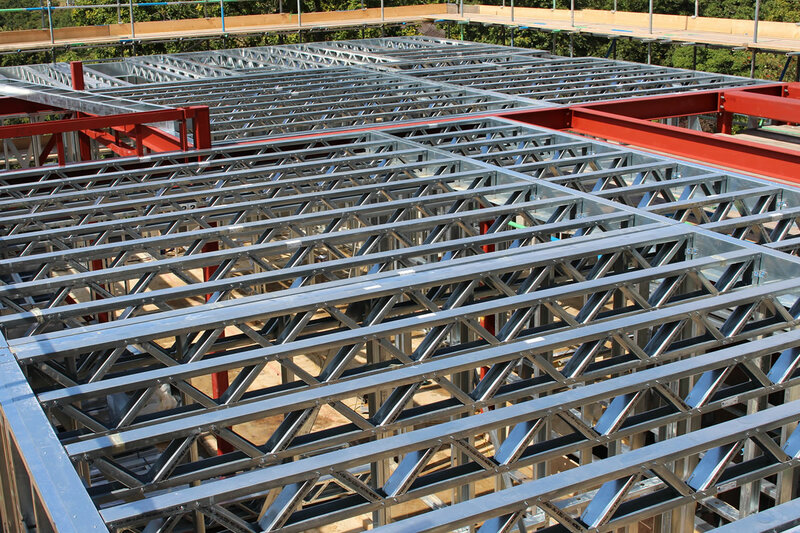 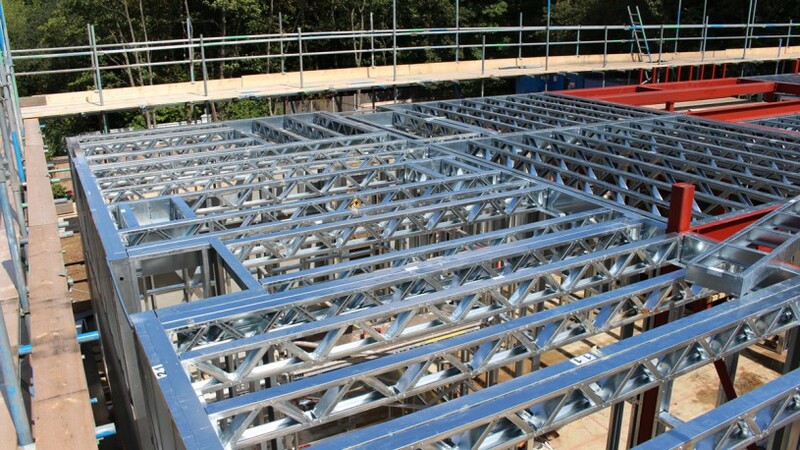 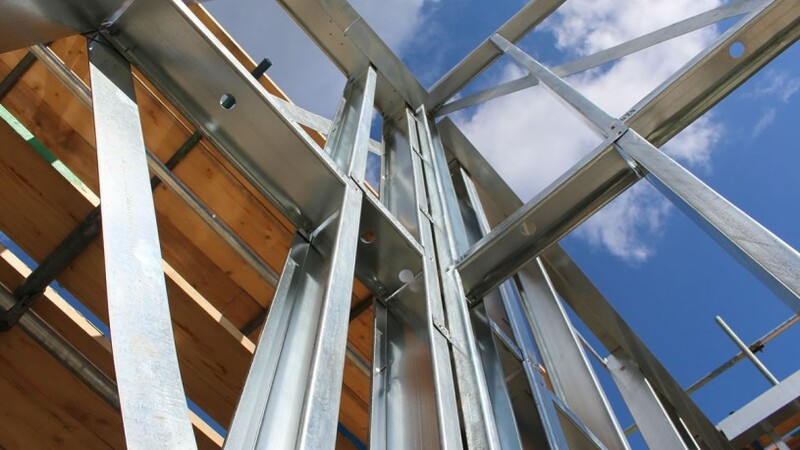 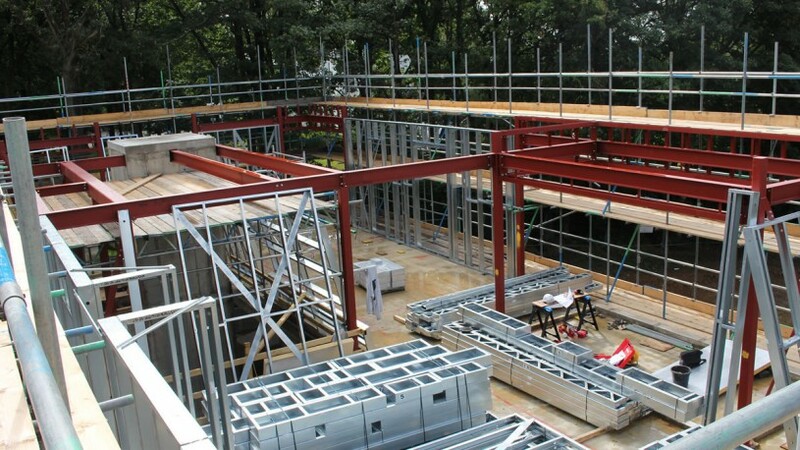 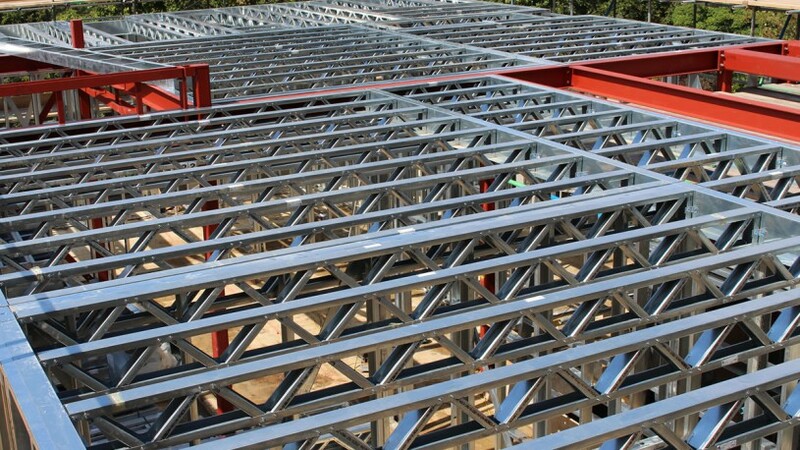 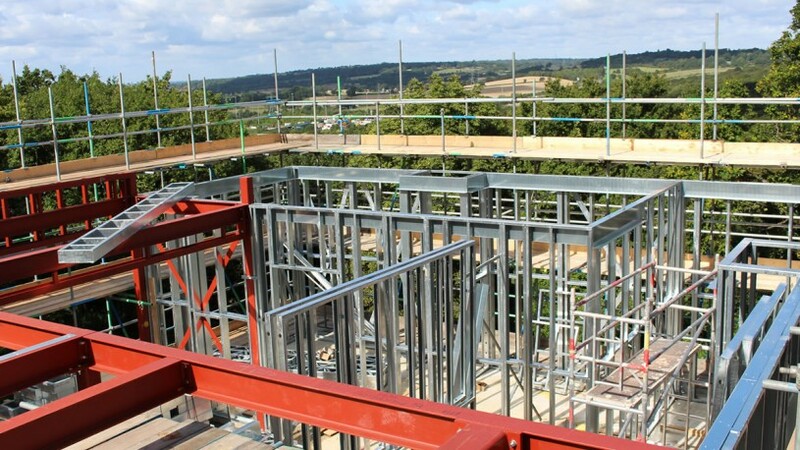 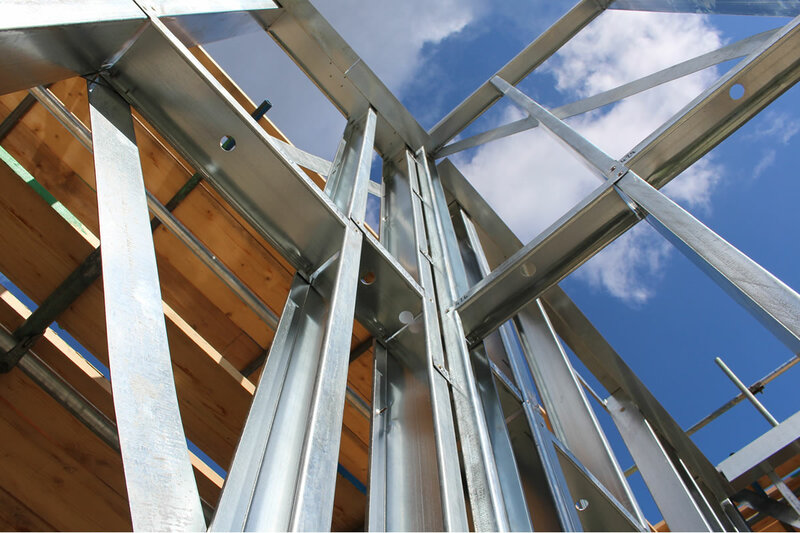 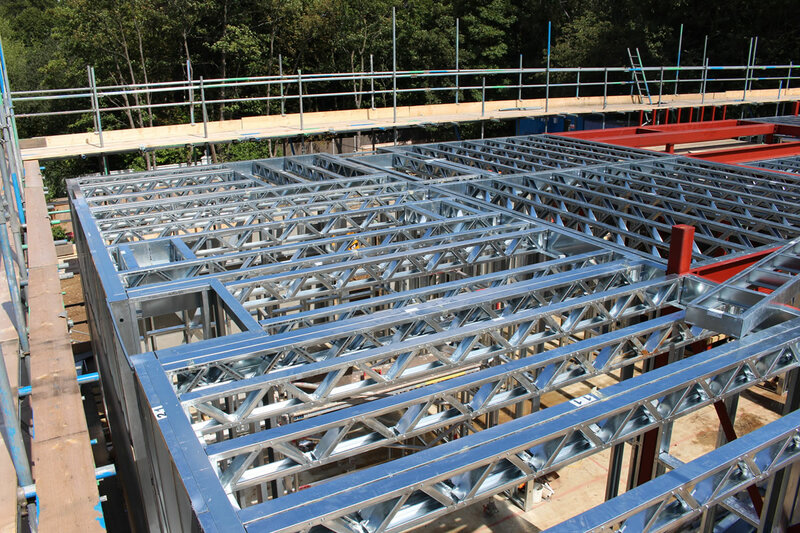 We have completed this particularly complex mix of Hot rolled structural steelwork and SFS and this was formed from Pre-fabricated panels and lattice sections on the 1st floor and the ground floor was formed from loose supplied lengths of SFS. 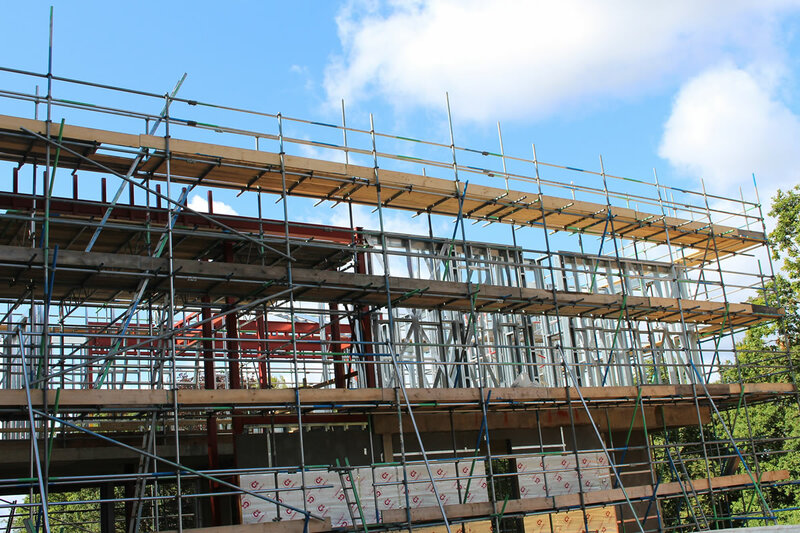 We have fitted the CP board and insulation with Brick tie channel ready for the bricklaying subcontractor to begin their element of the works. 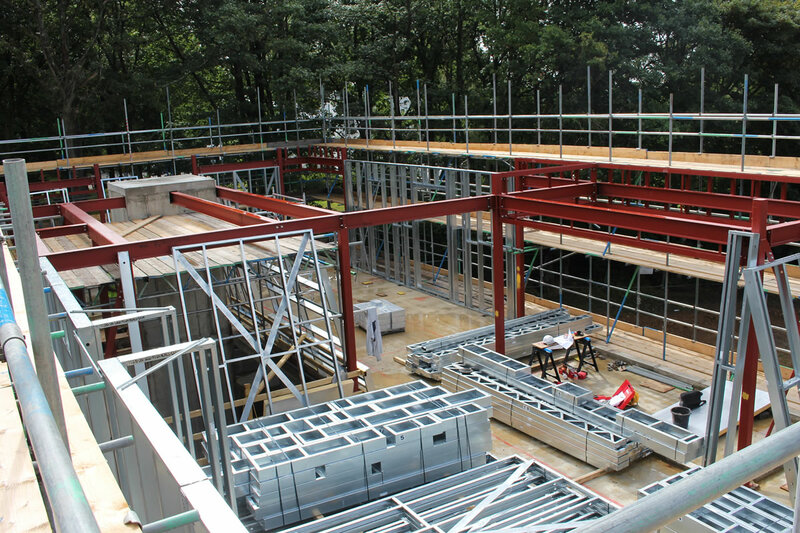 Our works although of a complex nature were completed to the satisfaction of our client and on time. 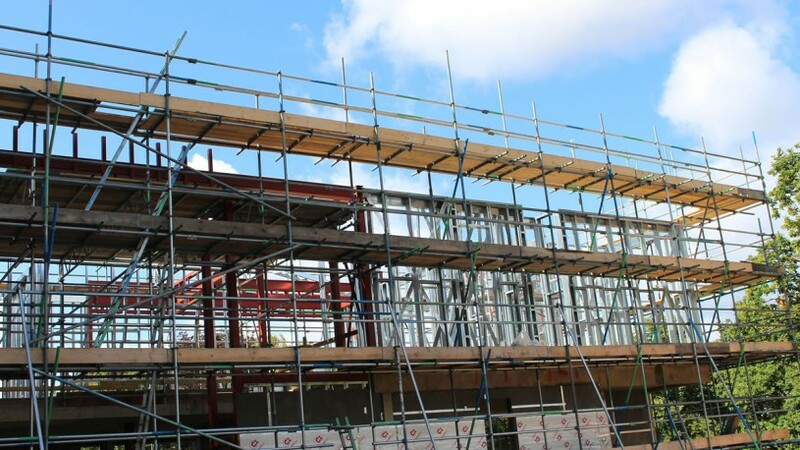 We are currently in the process of procuring an adjacent building – The annex and we are currently pricing the Drylining package for the project.